There are many barriers to success that procurement professionals must overcome, but one of the ones we may not dedicate enough thought to is our compensation packages. On the eSourcing Wiki, there is a list of barriers to success specific to strategic sourcing organizations. Broken down into the main categories of leadership, team and project issues, these nine barriers are a who’s-who list of worst case scenarios that should help you diagnose the root cause of the challenges you are facing in your organization. Motivated people are successful people – and financial incentives can be very effective, but only if they make sense. If a significant part of the Sourcing Team’s compensation package is a bonus based on PPU or TCA reduction, chances are she will be attracted to the absolute lowest cost award, which might be inconsistent with overall corporate goals. To ensure goals are aligned, incentives should be tied to the individual, the team’s success and the company’s success. We’re all interested in our compensation plans – particularly in ways to increase them. The topic is not a simple one, and there is probably no one right answer. 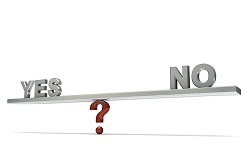 One good example of a discussion on the topic is a post from the Procurement Leaders blog on June 10, 2009: ”The Big Debate: If sales earn commission, so should procurement“. One of the distinguishing things about this post is that it got 23 comments, representing as many sides and perspectives. Most (not all, to be sure) of the respondents agreed that awarding individual bonuses based on savings was a dangerous motivation to set in motion. Even those that advocated group or department bonuses believed they should be based on company performance. Some of the more interesting responses highlighted additional concerns, such as costs being pushed into other parts of the organization through poor terms/quality or fights breaking out in procurement about who gets to work an untouched spend category rather than handing a contract re-negotiation. On first reading the response, the idea seems simple enough. Bonuses appeal to us because we perceive them as a way to quickly increase our income, justifying commissions/bonuses by tying them directly to the savings we are able to report. But increasing our base salary, although more work, is both more likely to happen and more sustainable through good economic times and bad. And how do we justify increasing our base salary? – We take classes, get certifications, and/or pursue degrees that make us better qualified to handle our jobs and increase our individual/group performance. – We take on more responsibility by formally stepping up to handle things like risk management, and market intelligence (not that we aren’t doing that work already – but if it isn’t formally assigned to us, our efforts are unlikely to be recognized). 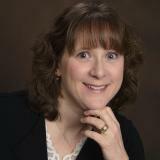 About the Author: Kelly Barner is co-owner of Buyers Meeting Point (www.buyersmeetingpoint.com). She has her MBA from Babson College, an MS in Library and Information Science from Simmons College, and a BA in English and History from Clark University. Kelly has a unique perspective on supply management that includes time as a practitioner, a consultant at a solution provider, and now as an independent thought leader. In 2012 Kelly was awarded a Provider ‘Pro to Know’ award by Supply & Demand Chain Executive Magazine.